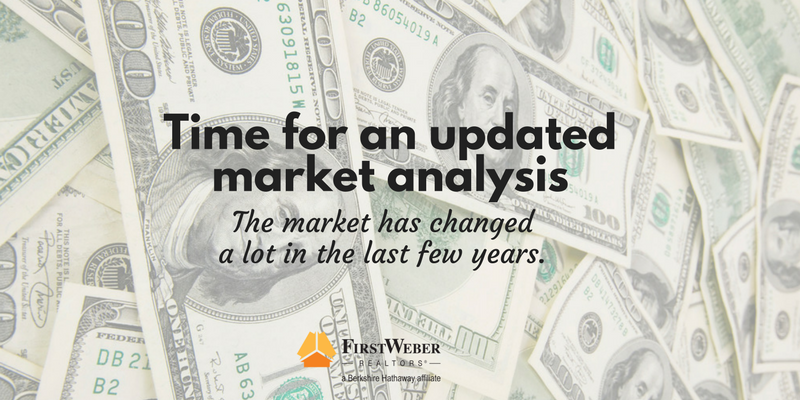 Time for an updated market analysis… The market has changed a lot in the last few years. Did you consider selling your home a few years ago but decided against it because you had not recovered enough equity from the downturn? Time to talk to your agent again because things have changed. 93% of homeowners have regained equity in their property. Maybe you sat down with an agent several years ago and really wanted to list, but just could not pull the trigger at that time because the value was too low. You’ll likely be happily surprised when you call back that agent for another market analysis. Home prices have been rising steadily in recent years and the Wisconsin real estate market is doing great. Buyers right now are fighting over homes. This is driving multiple over-asking offers within days of listing. It is clearly a good time to be a seller.